Today, google officially released the first Developer Preview of the upcoming Android N release and this time they are calling it just “N” for now. Surprising i guess.. but we should be expecting an official name in future, may be, may be not. It is also surprising to have Android N released days before the Google I/O which is expected to come up on the 13th of May as this as always been the routine, releasing out of the box products on the D-Day. This time, the search engine king is giving developers the platform to have a taste of the product that seems to have the fastest development cycle if compared to others. This obviously means that the android N will be launching on devices faster than expected. One big feature in the android N is the Multi-Window, which means users can now multi-task conveniently using their device. This will also be incorporated by developers into their apps through the new Manifest attribute. The Multi-window feature as stated by Google is not limited to just tablets as devices that can run the Android OS, can also enjoy this new feature. Another new feature is that users would now be able to reply to incoming stuff directly from the notification. This uses the same API as Android Wear, so any app that works with Wear will work with it without the need for any code changes at all. While we’re on the subject of notifications, the new release also lets developers group notifications from the same app together. The bundled notification can be expanded into individual ones by tapping a newly-introduced expansion button or by using a two-finger gesture. Currently, users can only sign up for the Beta Program which grants you access to the developer build together with all the others that are coming in the future as over-the-air updates. What do you think? 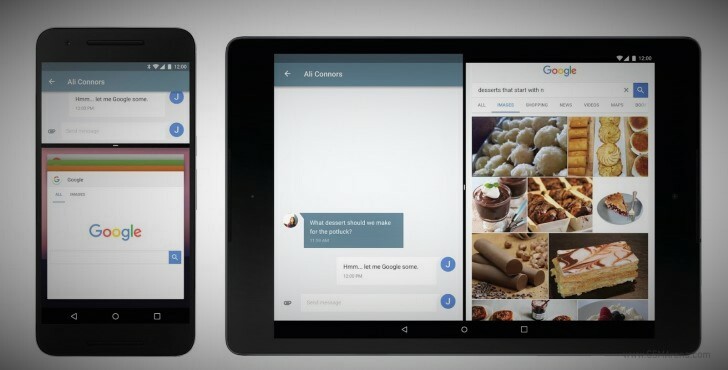 is the Android N Multi-Window feature a welcome development?Tell us using the comment box.